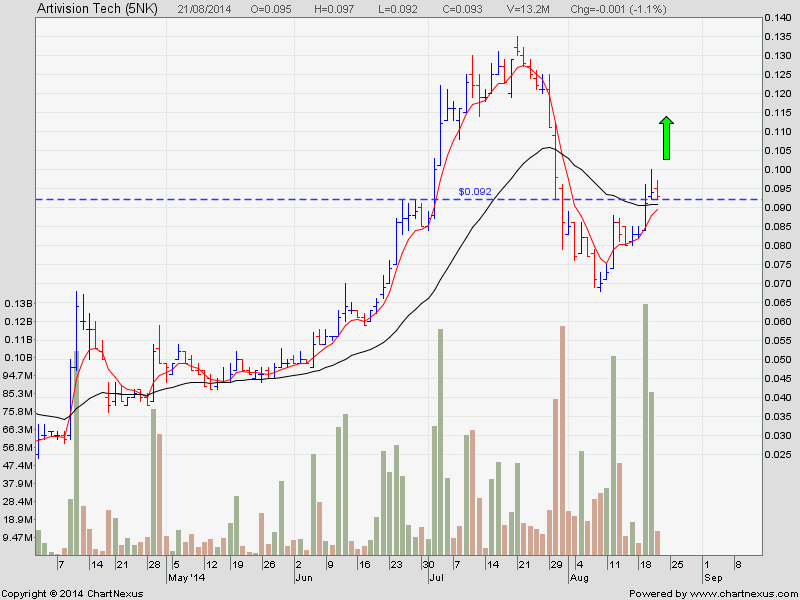 This penny stock is again for gambler and those who want FAST cash. For intra-day and short term trading only. Exit once profit is good. After one month of correction, this penny stock has come back strongly. Time for gambler and those who want fast profit to jump in. Manually close your trade once the profit is good. 2) Watch out for Vibrant as posted on Tuesday.